The Senator will be remembered for his ability to reach across the aisle and for his exemplary service in the Senate. 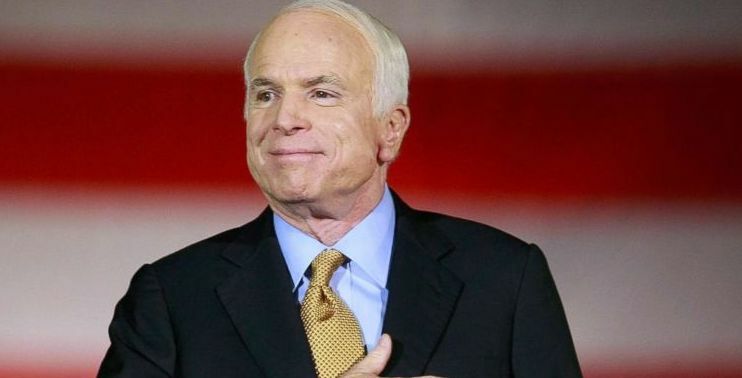 Arizona senator John McCain passed away from brain cancer at age 81 on August 25th, 2018. The long time Senator and two time presidential candidate was known for his tenacity in the Senate and for his ability to reach across the aisle, and was unafraid to go against his own party. Even when fighting the cancer that took his life, his vote to keep the American Care Act shown that the Senator fought for the people above all else. The Senator is remembered by the American people for his actions as a senator, and his actions as a war hero and a prisoner of war during the conflict in Vietnam during which he protected his men for five and a half years. McCain’s sense of duty and responsibility carried over to his work in politics. His warm nature and relationships with those in politics has made him a figure embraced by politicians. His former presidential adversary, Barack Obama, mourned McCain and said that despite their ideological differences, they united towards caring for the well being of the country and the American people. Indeed, during the modern era of politics, John McCain stood out from the herd by putting country over politics. John McCain is mourned as well by his family, including his wife Cindy, and his daughter, The View host Meghan McCain. McCain continues to be remembered as a purely American politician — one who, wether you agree with him or not, you know that his actions were for the citizenry of the country. Rest in Peace, John McCain.